'Legend' Actor Taron Egerton Is Dating Someone-Who Is His Girlfriend? Home Article 'Legend' Actor Taron Egerton Is Dating Someone-Who Is His Girlfriend? 'Legend' actor Taron Egerton has a huge fan following especially ladies. But the news about his personal life may certainly break the heart of many female fans as he's no more a single guy. Who is his girlfriend? Is the couple planning to get married? We have all the details. 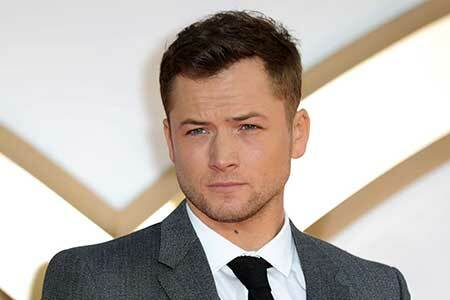 Taron Egerton Is Dating Someone-Who Is His Girlfriend? Egerton has been grabbing the wide attention all across the globe. His amazing personality and acting skills have made him fans favorite who are eager to get some of his personal details too. Egerton's romantic life has been the talk of the town for a long time. Well, let's grab some of his personal details in today's session. Some reliable sources say that the Love at First Sight actor is in a relationship with British producer Emily Thomas. She is renowned for her work in TV series Longmire. The couple started dating in November 2016 and they are still so much in love. During an interview with Heat Radio in January, he gave clues about his romantic life and told his fans that he's no more a single guy. "Umm, I am not! It would be very flattering when anyone would want to date with me." Moreover, he mentioned his girlfriend several times during interviews without mentioning her name but we are so sure that she's none other than Thomas. The two posed together for a photoshoot attending the Giorgio Armani fashion show in Milan, Italy. They look like made for each other couple. 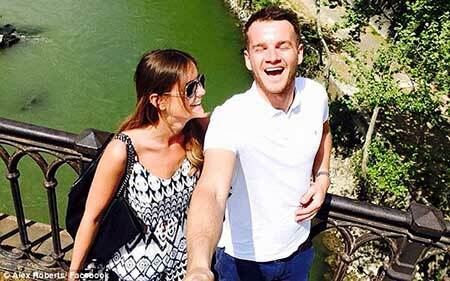 Egerton has not much to share with his fans so we are still waiting to see what's the couple up to! Taron Egerton made his acting debut in a supporting role in the ITV series Lewis in 2011. He appeared as the main cast in the Sky1 series The Smoke. He portrayed the role of Harry Hart in Kingsman: The Secret Service and its sequel, Kingsman: The Golden Circle. He performed in Testament of Youth based on the life of Vera Brittain. Some of his recent movies include Sing, Billionaire Boys Club, and Robin Hood. In 2018, he played the role of the renowned singer and composer Elton John in the upcoming 2019 biopic named Rocketman. Don't Miss; Is Lottie Tomlinson dating Danielle Campbell? Is she the girlfriend? Some of his TV roles include The Some, Archer, and Mooninvalley. Moomonvalley is set to release in 2019. Born on 10 November 1989 in Birkenhead, Merseyside, UK. He moved to Aberystwyth with his family when he was just 12. He studied at Ysgol Penglais School. He completed his graduation with a BA (Hons) Acting from the Royal Academy of Dramatic Art in 2012. He is best known for his role in the action comedy movie Kingsman: The Secret Service alongside Colin Firth, Mark Strong, and Michael Caine.